Life can get noisy. The adulting and all the people-ing, can get too much. We feel the need to slow down. We crave peace and calm and rest. 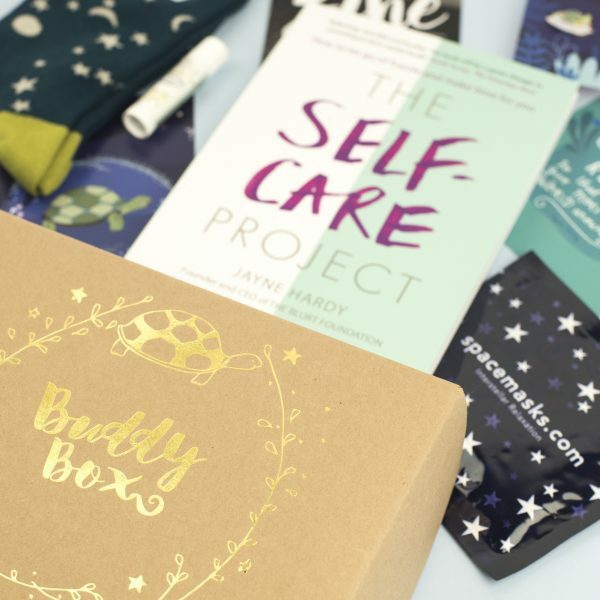 And have we got a BuddyBox for you! 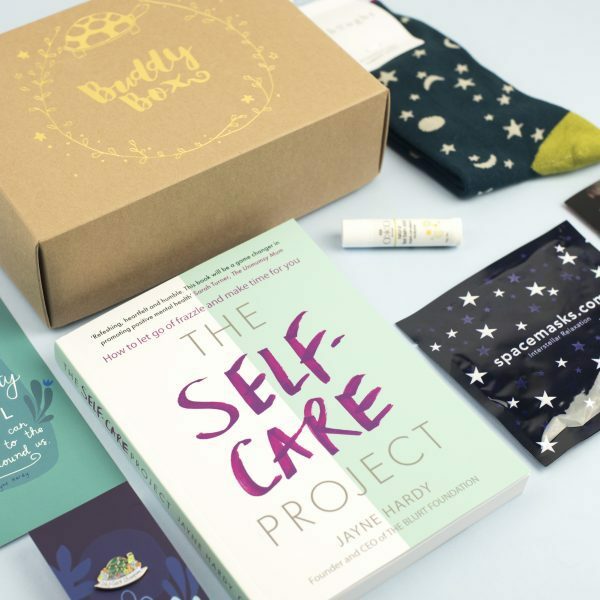 This BuddyBox is designed to help us create our very own self-care sanctuary. 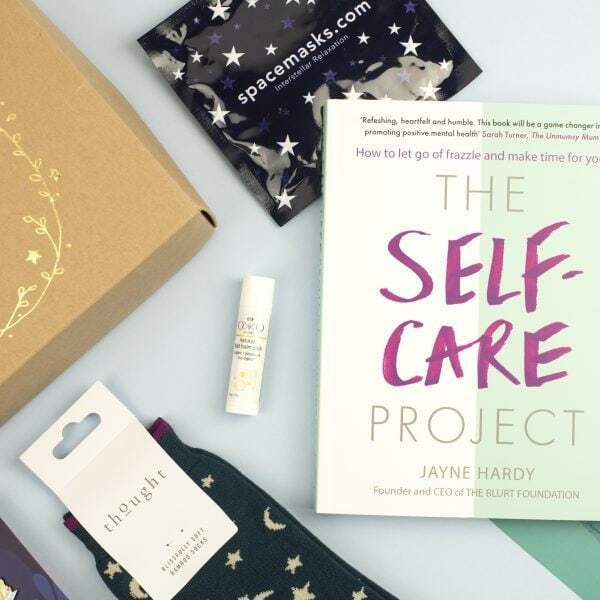 Packed full of comforting and nourishing treats – including our first book, “The Self-Care Project” – this ‘hug in a box’ encourages us to curl up alone for some well-deserved me time. 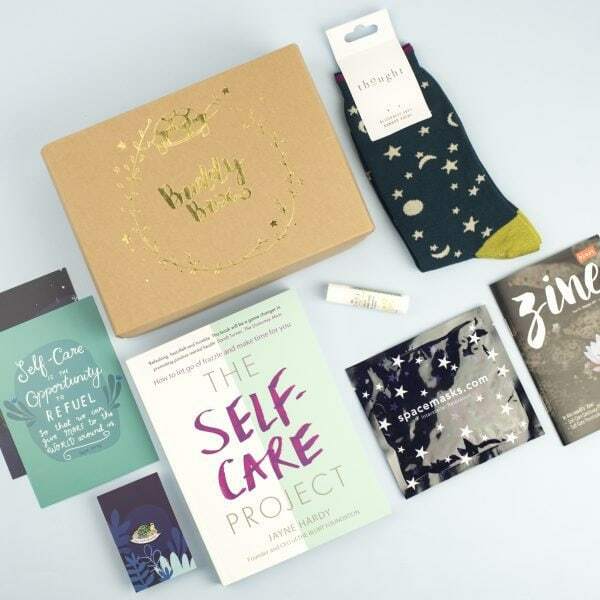 Once you’ve devoured the contents of this box, you’ll be wearing your ‘Self-Care Champion’ enamel pin with pride. We envisage that you’ll pop a layer of Okko Foot Balm on your tootsies, pop the oh-so-soft bamboo socks up, and get reading. Once it’s time to get some shut-eye, the Space Mask will help you on your way. Enjoy, you deserve it! 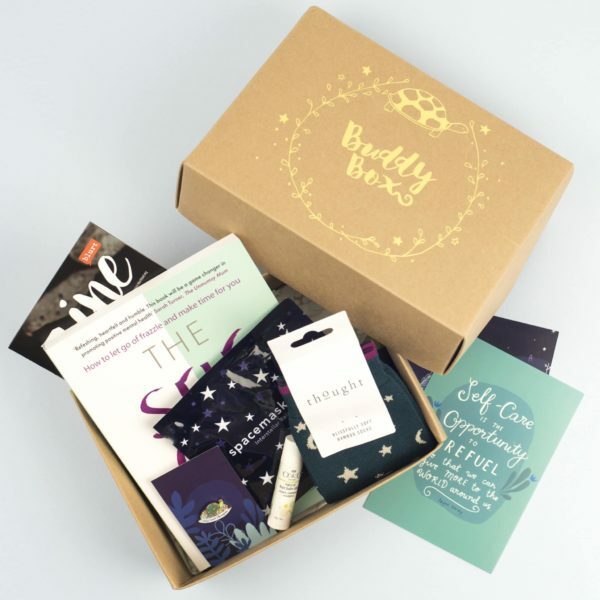 You can read the reactions to this BuddyBox here.